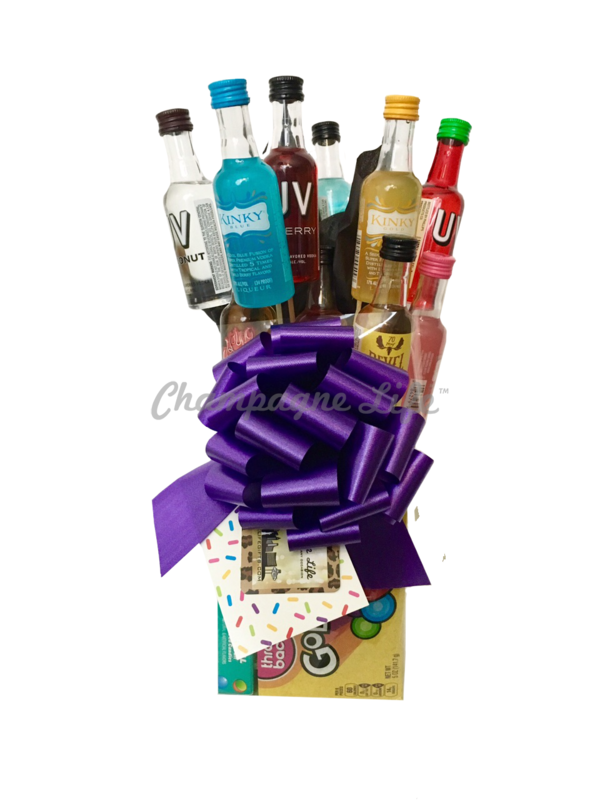 The Shots Bouquet is available for same day delivery in Las Vegas, NV. The perfect gift for birthdays of all ages! Liquor gift baskets are available for same day delivery to Las Vegas Strip Hotels and Casinos. Our other Liquor Gifts and 21st Birthday Gifts are great ways to celebrate a birthday! To create your own birthday gift basket please complete the Custom Basket Order Form. Custom 21st Birthday Gift Baskets are our specialty. We can also customize birthday gifts for 40th Birthday Parties and more!